Embark on an epic journey with three iconic characters. 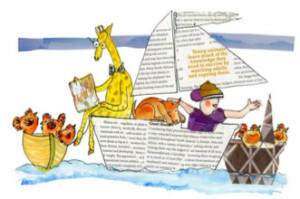 Sail the seven Seas with Sarah the little girl, Gofree the Giraffe and Jim the Dog in a charming new series by author Ruth Alice Nesbit. The Paper Boat Story not only introduces children to the wonder of nature and its vulnerable diversity but helps to reveal its natural simplicity. Meet Sarah, an imaginative little girl, who just loves being with her two friends, Gofree the Giraffe, who is very capable and loves fishing and reading, whilst Jim the dog is a lovable softie, a little timid and adores eating cake – especially cherry cupcakes! 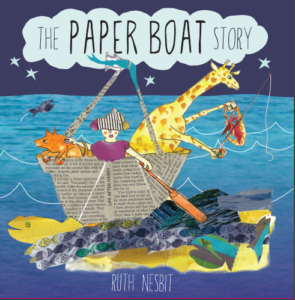 The Paper Boat Story not only introduces children to the wonder of nature and its vulnerable diversity but helps to reveal its natural simplicity. 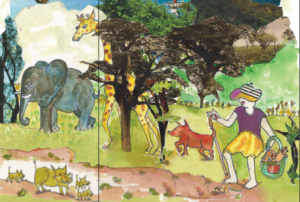 The book series is also filled with clever signposts for the adult reader who can initiate comment on rhino poaching; global warming; parenting and other issues relevant to every parent who wants to help their children to respect and protect the world we inhabit in the 21st Century. Click here to view our most recent rights list. Click here to view our rights list of children's books.